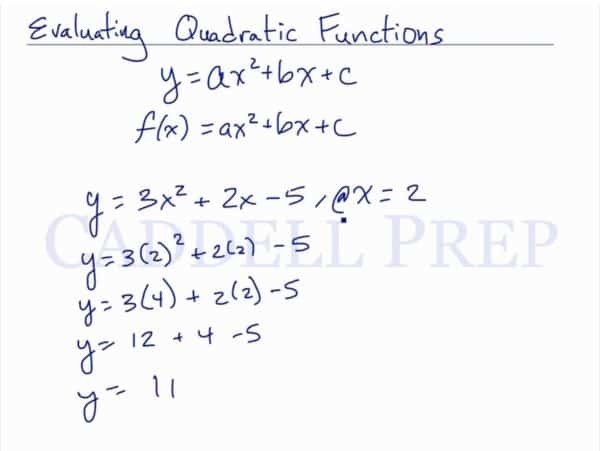 When given at x=2, we substitute 2 in for where we see x.
Let’s go over how to evaluate quadratic functions. The most important thing to note here is the presence of . This is the highest exponent. Let’s look at another example in a different form.